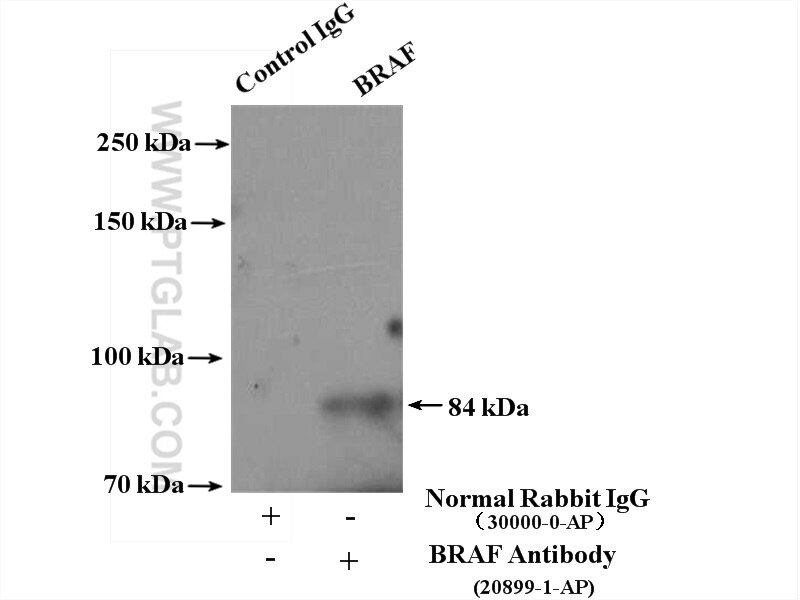 IP Result of anti-BRAF (IP:20899-1-AP, 4ug; Detection:20899-1-AP 1:300) with mouse brain tissue lysate 5200ug. 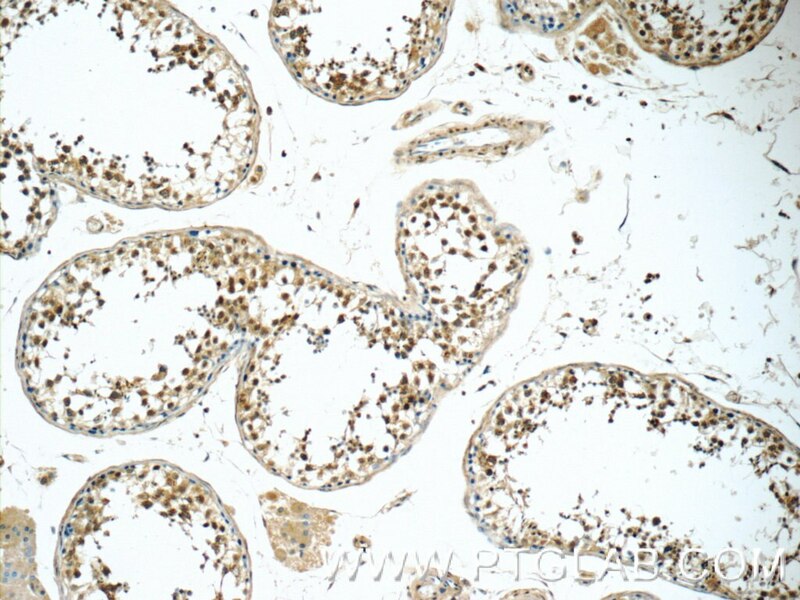 Immunohistochemical analysis of paraffin-embedded human malignant melanoma tissue slide using 20899-1-AP( BRAF Antibody) at dilution of 1:200 (under 10x lens). 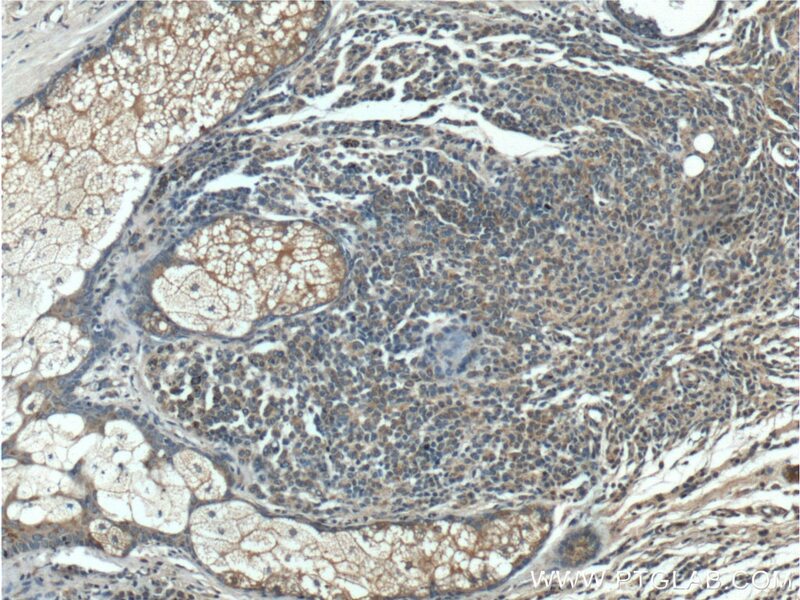 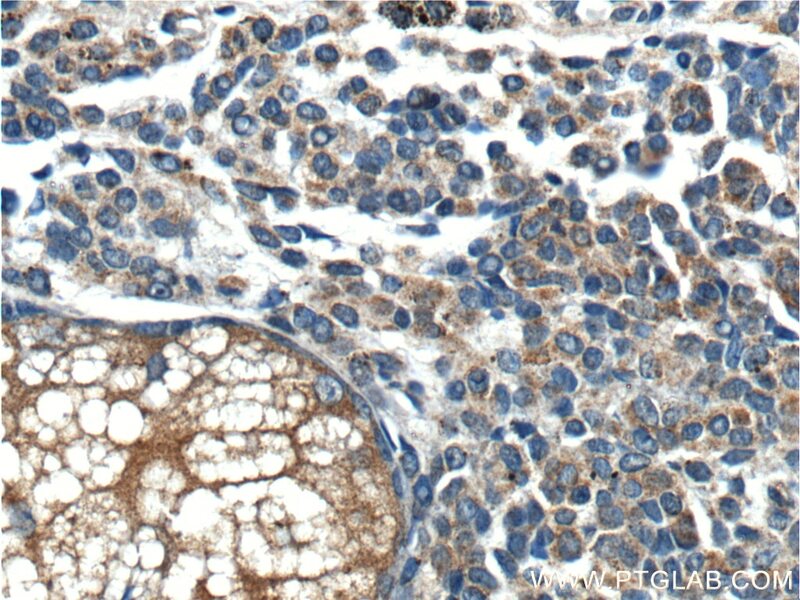 Immunohistochemical analysis of paraffin-embedded human malignant melanoma tissue slide using 20899-1-AP( BRAF Antibody) at dilution of 1:200 (under 40x lens). 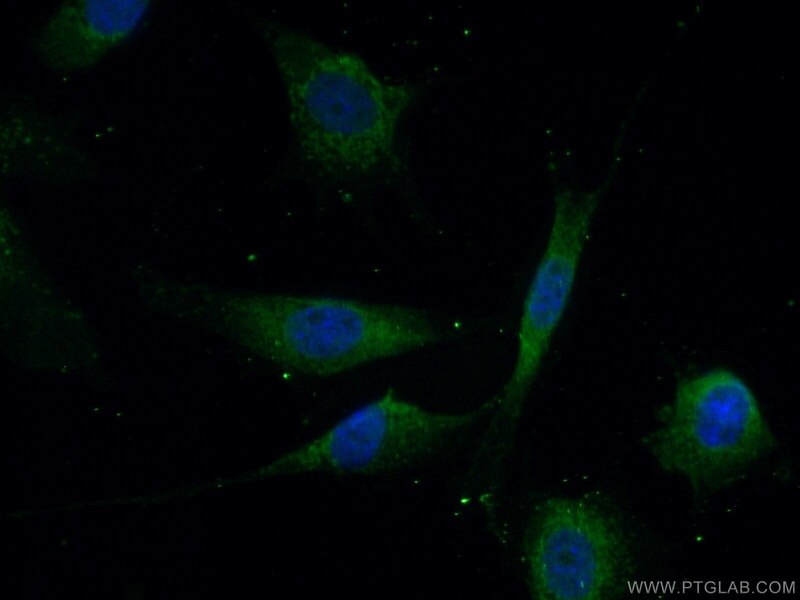 B-Raf proto-oncogene, serine/threonine kinase(BRAF). 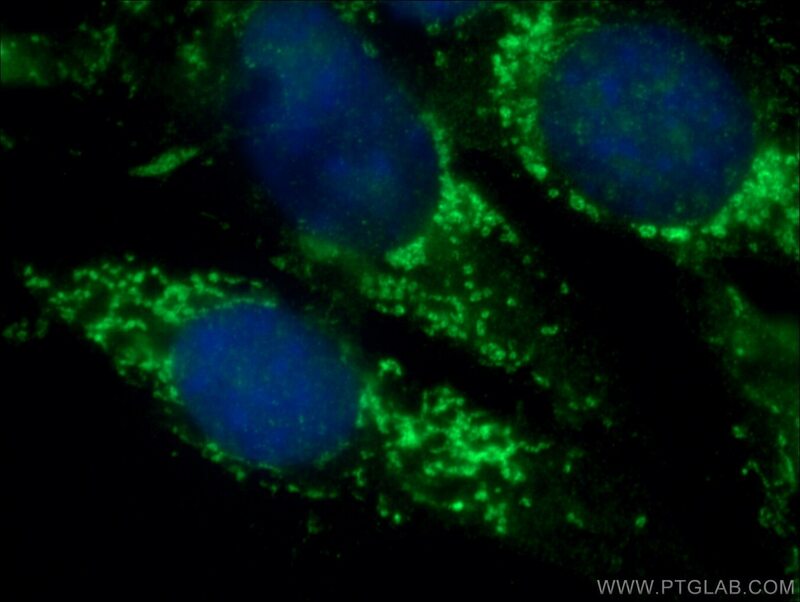 is a protein belonging to the raf/mil family of serine/threonine protein kinases.BRAF plays a role in regulating the MAP kinase/ERKs signaling pathway, which affects cell division, differentiation, and secretion. 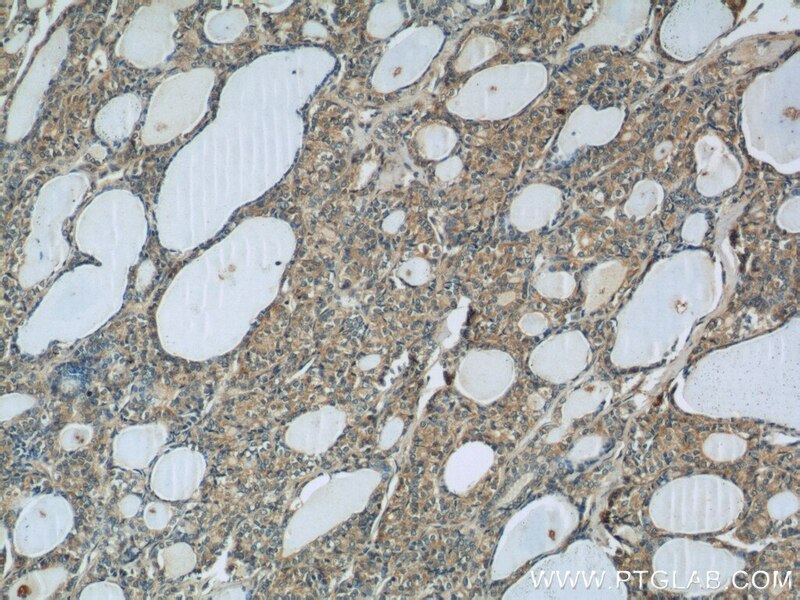 BRAF is associated with cardiofaciocutaneous syndrome, a disease characterized by heart defects, mental retardation and a distinctive facial appearance.BRAF is also associated with various cancers, including non-Hodgkin lymphoma, colorectal cancer, malignant melanoma, thyroid carcinoma, non-small cell lung carcinoma, and adenocarcinoma of lung. 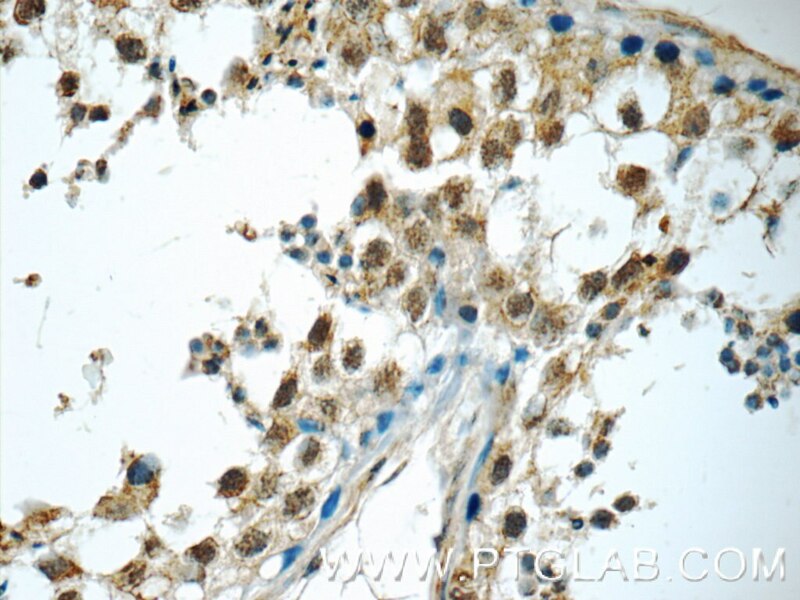 BRAF plays a role in the PD-1/PDL-1 pathway. 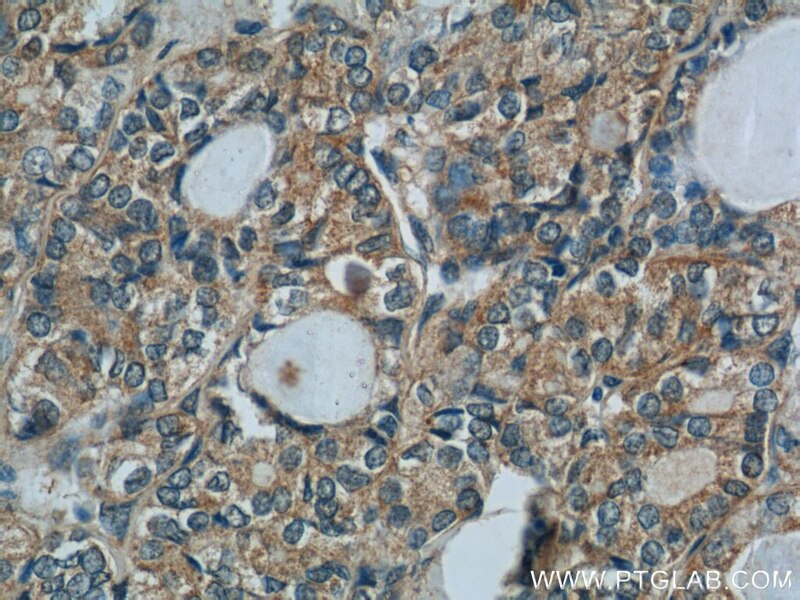 In some cancers, BRAF is activated by rearrangements that fuse its kinase domain to 5′ partner genes and then has different molecular weights (PMID: 23890088).